Six Flags Magic Mountain Names their 19th Coaster. Six Flags Magic Mountain has announced the name of their 19th roller coaster. A "family" style roller coaster, currently under construction in the "Bugs Bunny World" area of the park. 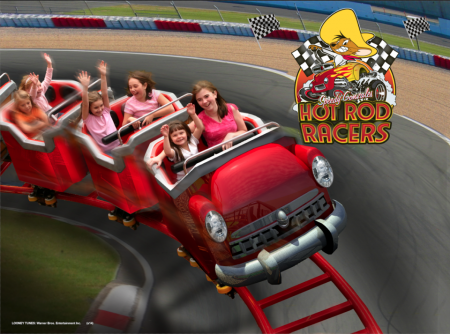 The new ride, called "Speedy Gonzales Hot Rod Racers" will open in 2014 and is made by Zamperla. Not much is currently know about the ride. With this addition it raises the parks roller coaster count to a seriously impressive 19 total. With this it will once again steal the crown in the coaster wars.